Ever wondered what goes on inside The Belgravia Centre? Now’s your chance to have a look! 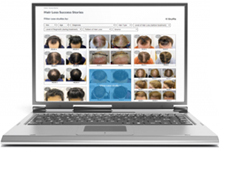 Google are hosting virtual tours of both our Central London hair loss clinics which allow you to go inside and have a look around as part of their Google Maps service. 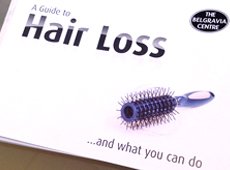 You can explore our hair loss treatment advisors’ and consultation rooms. You can also view our clinical treatment areas and check out our receptions so you know what to expect when you arrive, whether you’re visiting our City of London centre opposite Liverpool Street station, or our flagship Belgravia location, opposite Victoria station. To access these tours simply Google ‘Belgravia Centre Victoria’ or ‘Belgravia Centre New Street’ then on the right hand side of your screen (from a desktop, scroll down on a mobile) you will see a map come up with images of inside the centre of your choice along with the option to ‘See Inside’ – choose this and away you go! Alternatively you can select from the buttons below to take you straight to the tours for each clinic. Navigate through our clinics by clicking on the screen where you want to see, just as you would when using Google Maps. For our New Street centre which has three floors for you to explore, simply click on the key on the right hand of the screen to select which floor you wish to look around – G(round), 1 or 2. As Google doesn’t allow people to appear in the tours, if you’d also like to find out more about the Belgravia team, you can visit our Meet the Team page. 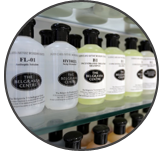 We are pleased to announce that The Belgravia Centre range of high quality, professional hair care products is now paraben-free. All Belgravia’s shampoo, conditioner and scalp treatment products that are designed for home-use have been expertly reformulated and no longer feature this commonly used ingredient. 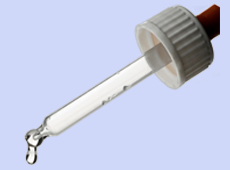 Parabens are a popular preservative and are widely used across the cosmetic and beauty industries. They appear on the ingredients label of product packaging as methyl-, ethyl-, propyl-, and/or butylparaben. However, you will no longer find them on the labels of Belgravia shampoos and conditioners as we have removed these ingredients as a response to client feedback. Whilst considered safe to use in the small amounts found in hair care products, a number of clients – in attempt to rid their lives of any non-essential chemicals – said they would prefer paraben-free formulas. As a result – and given this change makes no change to the efficacy of Belgravia’s products, the formulas are still as efficient and effective as ever – we are happy to be able to make this change. We have worked with a team of specialists to ensure that removing the paraben preservative does not affect the shelf-life of the product and there is no difference in the level of quality, to make this transition as smooth as possible. The replacement ingredients – Propanediol and Salix alba bark extract – are both natural. The new formula products will be used during clinical treatment therapy sessions as well as provided directly for at-home use. For existing clients who receive a supply of these products as part of their annual hair loss treatment course, your next delivery will switch to the new formulas automatically – some of you may even have started using them already. New clients will also be provided with the paraben-free formula products. 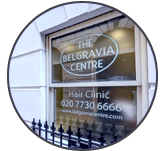 Belgravia’s shampoos and conditioners are also available to non-clients and can be purchased from both of our Central London hair loss clinics, either in person or by contacting the centre. We are delighted to announce that Team Belgravia successfully completed its mission to have each member walk a minimum of 10,000 steps per day for one week as part of the ‘Walk In Her Shoes’ fundraiser. They have raised over £2,100 to help Care International already, and donations are still coming in. What is the ‘Walk In Her Shoes’ campaign? The charity Care International helps to fight poverty in the world’s poorest areas. Each year they run a fundraising week called ‘Walk In Her Shoes’ where participants are sponsored to walk at least 10,000 steps per day (approximately 5 miles), with the proceeds going to Care. The reason behind the step-count challenge is in recognition of the girls and women in areas affected by poverty, such as Ethiopia, who often miss out on an education due to having to spend their days walking long distances to collect water for their family. These daily trips are made on foot by adults and children as young as 3 years old. Team Belgravia features our Chairman, Mike Harris, MDs Marilyn and Jonny Harris, and Specialist Hair Loss Nurses Mariana Almeida, Elly McCormick, Patricia Goncalves and Edyta Wener. Whilst keen walkers like Marilyn, who has recently completed the Rome Marathon, as well as a 60k walk in India and a 100 mile walk in Belgium, may have found it easy to meet the 5 mile-per-day step count, others had to find ways to fit it in to their daily routine in order to become one of the campaign’s ‘Everyday Heroes’. We hope you’ll join us in saying a huge congratulations to all involved. You can see how this money will be used in the video below, and if you would like to make a donation, simply click here then press the green ‘Give Now’ button. Due to an exceptionally busy period over the festive holidays and New Year, welcoming lots of clients – old and new – to our London clinics, we’ve only just managed to fit in a Christmas party! But, efficient as ever, the Belgravia staff managed to fit a whole festive season’s worth of fun into our belated night out last weekend. Click over to the Belgravia Facebook page for more photos from the night. Team Belgravia are taking part in the ‘Walk In Her Shoes’ charity challenge this March and we’d like to invite you to join us! What is ‘Walk In Her Shoes’? Walk In Her Shoes is an initiative designed to raise money and awareness whilst walking in solidarity with women and girls who are missing out on education and a chance to earn an income because of the time they have to spend collecting water and food, accessing healthcare or seeking refuge from conflict. From 23rd – 29th March inclusive, Team Belgravia, led by hair loss specialists Mariana Almeida (pictured right) and Elly McCormick, will join many others from around the UK in counting their steps, making sure we each hit 10,000 steps every day that week. Much like a sponsored walk, we welcome anyone who would like to, to sign up to walk with us, or make a donation towards our target fundraising goal of £5,000 which will all go to the event’s charity. ‘Walk In Her Shoes’ is held to raise awareness and funds for CARE International UK, a non-religious, non-political charity organisation that provides humanitarian and developmental assistance to anyone in need, regardless of race, gender, ethnicity, age, religion, politics or sexual orientation. The charity also delivers emergency aid to survivors of war and natural disasters, and helps people to rebuild their lives in the aftermath. CARE advise that at least 83p in every pound raised is spent directly on their poverty fighting programmes, whilst the rest goes towards fundraising and the organisation’s running costs. There are two ways to get involved – you can either join Team Belgravia by taking part in the step counting week with us, or you can make a donation towards our team’s fundraising goal. If you decide to get active with us, you don’t need to join up with the team in person or take any time out from work or leisure activities, all you need to do is make sure you take 10,000 steps per day, every day during challenge week. You can walk, jog or run – it’s up to you, every step counts no matter how you take it! You can tweet or instagram @BelgraviaCentre a picture of your pedometer reading each day using the hashtag #WIHS, or post your progress to our Facebook or Google+ pages to share your accomplishments with the rest of the team. Press the ‘Join Team Belgravia’ button below which will take you to our Team page, then click on the brown ‘Join Team’ button to register your details. Once you have registered you just need to start raising funds and remember to count your steps every day between 16th and 22nd March inclusive, making sure you hit at least 10,000 steps per day. It is free to join our team or, if you would like to receive a pedometer and a T-shirt, it costs £10. If you don’t wish to take part but would still like to support our fundraising efforts for this worthwhile cause, you can sponsor us via the Team Belgravia donation page. Just click the button below then press any of the ‘Give Now’ buttons to input your payment details. Remember, £100 can provide water and sanitation for a school for a class of children for two years, saving their daily walk for water and allowing them to receive an education. £1,500 could build a water well close to a community providing an abundance of fresh, clean water and, again, reduce their daily walk. Together we can make a difference so please consider supporting us in whatever way you can, and feel free to share this link with your friends and family. If you have any questions about this fundraiser or difficulty with the team’s donation page, please do leave us a message in the comments below and we’ll get right back to you. We will also bring you updates on the team’s progress next month so do check back to see how they get on! We’ve just got used to seeing actor James Franco sporting a completely bald head – not from hair loss but after the 36-year-old shaved off his signature tousled locks for his role in the film Zeroville. The selfie king, who is currently filming, seemed proud of his transformation, posting a selfie on Instagram with the caption “Bald as a mutha! !” after shaving his head. Last week the actor took to Instagram yet again to share a spooky Halloween photo with his fanbase. In the shot he poses with 28-year-old actor Megan Fox, star of Transformers and the horror-comedy flick Jennifer’s Body, who is dressed in a long white, blood-covered dress for Halloween. In the spooky shot, Franco’s dark regrowth is just about visible, and it’s evident that the actor has a widow’s peak. But Franco isn’t the only Hollywood star to show signs of a receding hairline. A widow’s peak, which is when the hair forms a V shape at the front of the scalp, can be the natural growth shape of hair for many people. But did you know that it can also be one of the first signs of male pattern baldness? British actor Jude Law has a pronounced widow’s peak and has experienced a dramatically receding hairline in recent years. Both men and women can have a widow’s peak, and stars who have this hairline naturally include actors Colin Farrell, and Keanu Reeves, and actresses Blake Lively and Anne Hathaway. A widow’s peak can usually be treated successfully, but it is important that anyone experiencing a receding hairline or thinning hair see a professional hair loss specialist as soon as their shedding becomes noticeable, as waiting could mean treatment is less successful. Consulting a professional will allow you access to expert hair loss advice including a diagnosis of your condition and recommendations for a bespoke hair loss treatment program designed to regrow hair and prevent further shedding. Question: I have recently started juicing and wondered if this increase in fruit and vegetables in my diet might help to prevent hair loss? My hair sheds quite a lot but does not appear to be thinning just yet, although this is something I worry about. Answer: Hi Karina, the current health craze for juicing is definitely a great way to encourage people to up their daily intake of fruit and vegetables. However, this extra boost of vitamins and minerals can only help to prevent hair loss conditions that are caused by vitamin deficiencies, such as Telogen Effluvium. Thinning hair in women is generally caused by Female Pattern Hair Loss which is a hereditary condition. The only medically-proven treatment for female hair loss is the MRSA-licensed product, minoxidil. Unfortunately juicing will not help to prevent, nor to treat this genetic hair loss condition so if you are worried about this, you may want to speak to a hair loss expert. That said, the good news is that, by introducing extra nutrients into your diet, this should improve the condition of your hair, helping it to grow through strong and healthy. Anyone concerned about hair loss who does not think their diet provides them with enough of the vitamins and minerals needed for healthy hair can try adding the following foods to their daily intake. Alternatively they may prefer to take a dietary supplement such as our Hair Vitalics. A staple in green juices, vegetables such as spinach, swiss chard or kale provide a hit of iron and the darker the leaves, the better. Your body needs iron to move oxygen around the body, maintaining good blood flow. This, in turn, will help to transport necessary nutrients to the scalp and hair follicles. Adding oats to your breakfast juice is a good way to increase your iron intake, as well as helping you to feel fuller for longer. Dairy produce can be mixed with juice to form a protein-rich smoothie. Their taste is often masked by the inclusion of other ingredients such as berries, carrots, or citrus fruits, so you can get your protein without even noticing! Cottage cheese, chia seeds or silken tofu can add a protein boost to your smoothie without any noticeable taste, whilst greek yoghurt will add a creamy consistency as well as protein. Peanut butter – the pure kind with no additives of any kind – is a favourite with health-conscious smoothie fans as it provides protein, magnesium, vitamin E and, according to the Journal of the American Medical Association, consuming around 2 tablespoons of peanut butter at least 5 days a week can lower the risk of developing diabetes by almost 30%. Citrus fruits like oranges, grapefruits and lemons, plus guava are packed with vitamin C and are great for making tasty juices from. However, red peppers can provide a delicious alternative with an equally powerful vitamin impact. Vitamin C aids the production of sebum, which is secreted by the hair follicles and is vital for healthy hair. Vitamin C also helps the body to absorb iron so try to include ingredients that are good for both these elements in your juices or smoothies. Nuts such as almonds, cashews or brazil nuts, plus bananas and oats are all wonderful sources of magnesium. Magnesium is important as it’s responsible for over 300 biochemical reactions in the body, one of which is hair growth. A lack of zinc in your diet can cause hair to fall out so include flaxseeds – or flaxseed oil – pumpkin seeds, chia seeds, and/or walnuts in your juices to add zinc goodness and a nutty taste. These ingredients are also rich in the omega oils needed for brain function, joint health and to strengthen the hair follicles whilst nourishing the scalp. B vitamins are important for a number of functions, from hormone production to the repair of DNA, they deal with the body’s overall growth and development – including your hair. Whilst many B vitamins can be ingested by eating – or drinking – dark green, leafy vegetables, avocados, nuts and bananas, B-12 is an essential vitamin that can be delivered easily by adding soya milk to your smoothie. There are even B-12 fortified versions available if you feel you are particularly lacking in this vitamin which aids the production of red blood cells and is crucial for nerve function. Berries, carrots and swiss chard can all help to increase your intake of biotin which is considered the ‘hair growth vitamin’. Will Thinning Hair on Temples Grow Back After Shaving Head? Question: My hairline was starting to thin but it still had a decent thickness. So I shaved it all off with a razor just to experiment with a new look. I noticed all the hair on my head began to grow back except the temples. Since I shaved it all off, does this mean that the temples won’t even grow back to the thinning stage that it was at to begin with? I’m a black male btw. Answer: If you had some hair on your temples before you shaved your head, then it is likely this hair will eventually return to how it was, but temple-area hair is slower growing so it may take time. However, if you had already lost the hair on your temples before shaving the rest off, the act of shaving your head would not stimulate the scalp into growing hair back at the temples. You mention your hairline is starting to thin. This points to potential androgenic alopecia (male pattern hair loss) which can cause a receding hairline as well as hair from the top of your head, including the crown and temples, to shed. This would not be brought on by shaving your head and should not affect regrowth, however, it could cause the new hair to be more brittle and prone to breakage which may make it appear thinner. 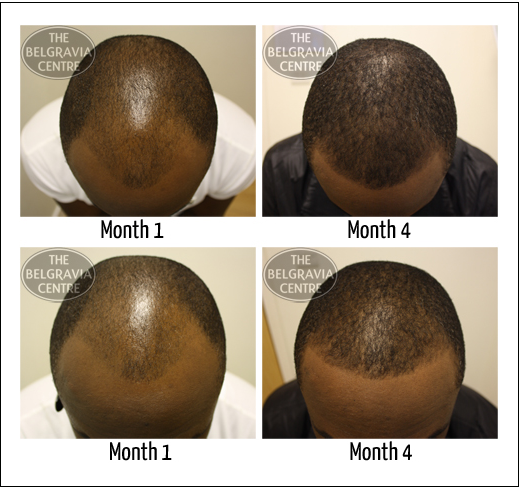 You can see an example of how male pattern hair loss causes hair to thin and look thinner in the Month 1 patient photos pictured here in our Hair Loss Success Stories image, as well as the results of his treatment three months later. Another condition which causes patchy hair loss is alopecia areata, but, again, this would not be brought on by shaving your head. As long as you still have hair follicles, it is likely you can regrow hair. So if you had some hair pre-shaving, it is likely that you will eventually see regrowth around the currently patchy, temple areas. It may depend whereabouts you were in your hair growth cycle when you shaved your head as to how long it takes for the hair to return. We recommend you wait another 2-3 months and monitor the affected areas during that time. If at the end of this period you are still experiencing slow-to-no regrowth around your temples, or anywhere else, we suggest you visit a hair loss expert for a professional diagnosis of your condition, as well as advice on how to treat it, if required.